Encouraged to be an entrepreneur by her father, Karsh Hagan founder Tom Hagan, Kathy launched her first agency at the age of 26 and successfully ran it for the next 25 years. 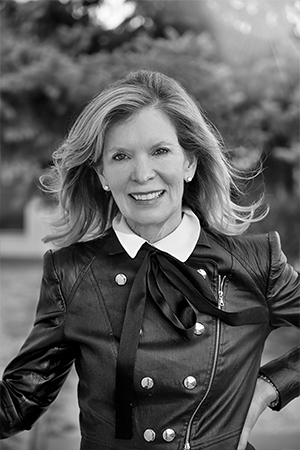 She has supported numerous community initiatives and led the Denver Advertising Federation as Chairman. In addition to bringing her insights to our clients and us, she also currently serves on the Advisory Board for Smashburger. Brands: Archstone Communities, Aspen Snowmass, The Brown Palace Hotel & Spa, Colorado Tourism Office, Comcast, First Data Corp, Hyatt Hotels, IBM, Pinnacle Bank, Old Chicago, Quizno’s, Southern Land Company, Texas Instruments, Western Union, University of Colorado, VISIT DENVER, Volunteers for Outdoor Colorado.